My last two posts were an analysis of a fable by Jean de La Fontaine, “L’Ours et l’amateur des jardins,” “The Bear and the Gardener.” The corresponding fable by Æsop is entitled “The Bald Man and the Fly,” but the fable reflects Le Livre des lumières ou La Conduite des roys, fables by Bidpai. You may remember that I could not find the fable’s Perry Index number. I simply forgot that Aesop’s corresponding fable was entitled “The Bald Man and the Fly.” It is numbered 525 in the Perry Index. For information on fables,Laura Gibbs’ Bestiaria Latina is the site one visits. Æsop and his numerous followers are Laura’s area of specialization. This post is a progress report. Several years ago, I had to prepare a course on animals in literature during a sabbatical leave I was devoting to my book on Molière. I taught the course and have continue researching the subject, but the effort ended my career. However, I have written so many posts on Animals in Literature that they should be listed on a page. There are gaps to fill. As for the texts, many are on the internet, such as the collections of fables I listed on 2 March 2017. Would that there had been an entry on Beast Literature or Animals in Literature, when I prepared my course. Our starting-point will be a clarification of the concept of anthropomorphism. Animals in literature are human beings in disguise. I have already written a post on this subject, but it has been refurbished. But metamorphoses, many of which were told by Roman poet Ovid, are also central to both fables and fairy tales. Ovid’s Metamorphoses has been the source of a large number of literary works. This is a brief note. I am working on The Song of Hiawatha (1855) by Henry Wadsworth Longfellow (27 February 1807 – 24 March 1882), but every Sunday I share brunch with a friend. I was in the kitchen. I have read several Amerindian “fairy tales.” Shapeshifting is a recurrent motif or “constant” in Amerindian tales. Shapeshifting is often a trickster’s device, but also an attempt to discover the truth and to protect oneself. It is survival through deceit, such as playing dead. There are numerous Creation myths. They are listed in Wikipedia. Before Sequoya (1770 – 1840), the gifted Cherokee who created a syllabary, it is reported that Amerindians could not write. 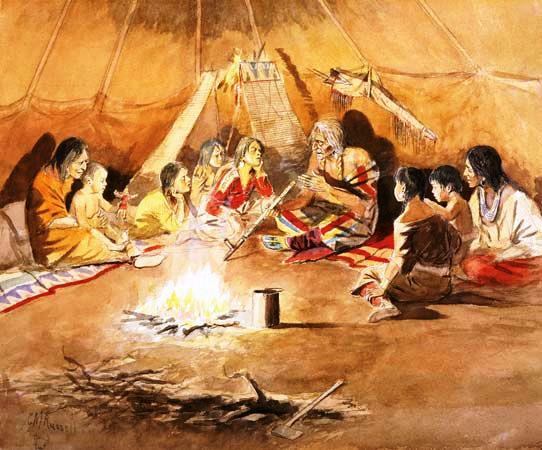 Once Sequoya invented his syllabary, literacy among the Cherokee surpassed the rate of literacy among the white. 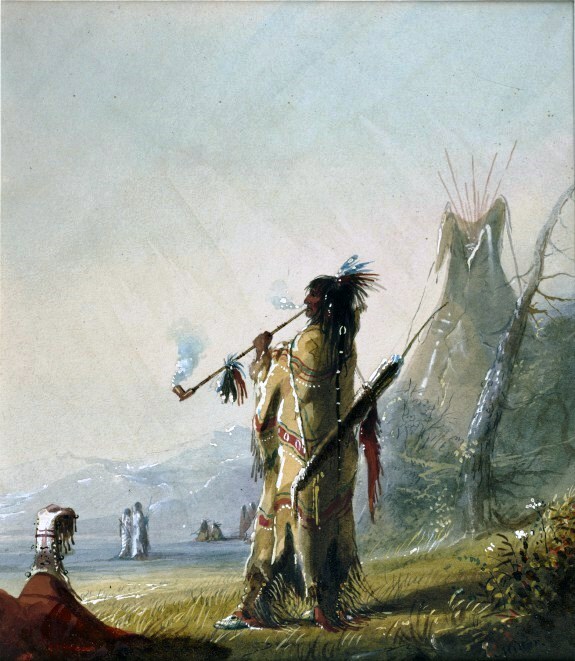 Sequoya, who may have been a Métis, developed 86 syllables, borrowing from several alphabets. 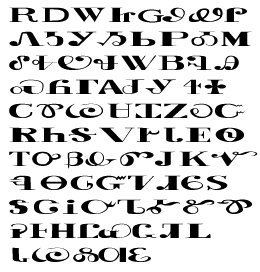 According to Wikipedia, in order to convince other Cherokees to use his syllabary, he wrote down what they were saying and called his daughter, to whom he had taught the Sequoya syllabary. She read her father’s text, and Cherokees recognized that it was what they had said. Sequoya moved to Oklahoma and may have done so voluntarily. 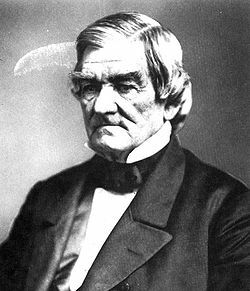 But Scots-Cherokee Chief John Ross left Georgia unwillingly. Yet he organized the removal, at least part of it. He bought 12 wagons, the same wagons as the ones used to carry the white west, but each of which carried a total of 1,000 persons. I do not understand the full logistics of the removal. Some Cherokees travelled by boat, but many also walked during part of the 2,200-mile journey (3,218 km). It was a true “trail of tears.” Reports vary, but it appears 6,000 Cherokees died on their way to Oklahoma, one of whom was Chief John Ross’ first wife. (A long time ago a man had a dog, which began to go down to the river every day and look at the water and howl.) This formula tends to reinforce the fictional character of a story. It happened a long time ago and, if possible, elsewhere. The formulaic “A long time ago… ” may be James Mooney’s wording. He is the person who took the tale away from an oral tradition to insert it in a learned, i.e. written, tradition. Yet it could be that storytellers have long used this kind of wording, if only to get attention. Yesterday, I had every intention of posting a short article on Anansi, a folktale character black slaves brought to the Americas. However, I thought I should first provide a list of posts on fables and fairy tales. It turned into a lengthy process because I had not kept a list of RELATED ARTICLES for most posts on fairy tales. The page I posted yesterday is therefore incomplete. I will add a list of fables later. I kept a record of these posts, but must add the date on which each was published. I have a list of posts of fables, but each post needs a date. It seems that posts do not exist unless they are listed. However, I would like to invite you to take a peek at the Project Gutenberg’s EBook #19993. It is a collection of literary works for children and it includes poems, limericks, the words to songs, and fables and fairy tales originating from several countries. The copyright was obtained in 1909, but the book was published in 1927 by the University Society of New York. By 1927, its editors had died. These are Hamilton Wright Mabie, Edward Everett Hale William Byron Forbus. William Byron Forbus died in 1927. All three editors are well-known authors, but we may have forgotten them. Today is the day we remember them. Childhood’s Favorites and Fairy Stories is also an Internet Archive Publication. It can be accessed by clicking on its title. There are a few copies of this book online perhaps indicating its importance. Combined with An Argosy of Fables, this book is a lovely discovery. I have not found a Volume 2. Several authors are represented in this collection, including Shakespeare. However, I have chosen to end this short post using a poem by Alfred, Lord Tennyson. It’s a lullaby. Childhood Favorites is told by LibriVox on YouTube. As I mentioned in a post entitled “How the Bear lost its Tail,” published on 4 August 2015, I pressed the “Publish” button instead of the “Save Draft” button. As a result, I published an incomplete post. The above image was also published before the post was complete. I reread my post and did not modify it substantially. However, I introduced the Brothers Grimm: Jacob (1785–1863) and Wilhelm (1786–1859). 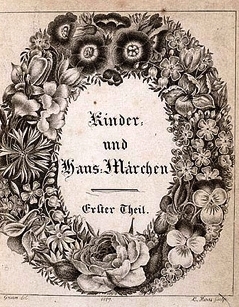 In 1812, they published Children’s and Household Tales (Kinder- und Hausmärchen) or Grimm’s Fairy Tales in the hope of finding cultural similarities between the inhabitants of German-language lands, a quest that did not prove altogether successfully, but created a discipline, first named folkloristics. It is in this regard that mentioning the Brothers Grimm was essential. The Brothers Grimm’s goal was to find cultural similarities between the yet-to-be unified German-language lands, an undertaking which required them to go from town to town and hamlet to hamlet collecting folklore. As I wrote above, this huge effort proved a lesser achievement than they had anticipated. Grimm’s Fairy Tales was a bestseller, but it would eventually come to light that the tales of Germany had variants in other countries. As the 19th century turned into the 20th century, a new discipline evolved, which could be called the above-noted folkloristics, and would lead to the development of related disciplines such as ethnology, linguistics, archaeology, all of which could be included under an umbrella discipline we know as anthropology: the “study of humanity,” to quote Wikipedia. (See Anthropology and History of Anthropology). In the case of the Brothers Grimm’s collection, it led to an international classification of types and motifs which was first published in 1910 by Finnish professor Antti Aarne and which would become the Aarne-Thompson Classification System. For instance, Cinderella had variants and different titles in various lands, but Cinderella is AT type 510: “the persecuted heroine.” There was universality to a large number of fairy tales, fables and other folktales. It was as though these had travelled from Europe to the Orient and vice versa as Venetian Marco Polo and other merchants traced the silk road. As for their specificity, it resided in the variants, either the type (i.e. tail-fisher) or the motif (i.e. the severed tail). 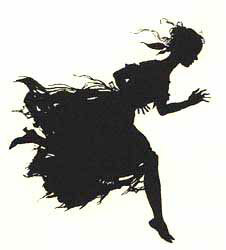 Grimm’s Fairy Tales contains a Cinderella, entitled Ashenputten. We have a coarse stepmother, her two insensitive daughters who belittle Cinderella, a father who brings the two stepsisters the gifts they wish for, birds who provide Cinderella with the clothes she needs, three girls: the stepsisters and Cinderella, a three-day celebration, the slipper, and some mutilation, the removal of a toe and that of a heel. I doubt that mutilation would be allowed in a 17th-century French-language fairy tale, a time when bienséances (decorum) was observed in the literature, the theater in particular, of France. We have just seen that the plot of Cinderella is rooted in Rhodopis, a 700 BCE written story. In more recent centuries, this ancient tale has been the story of Cenerentole, written by Neapolitan Giambattista Basile (1566 – 23 February 1632). (See Cinderella, Wikipedia). But the tale was also written by Charles Perrault in 1697, at the end of the Grand Siècle, the age of Louis XIV. 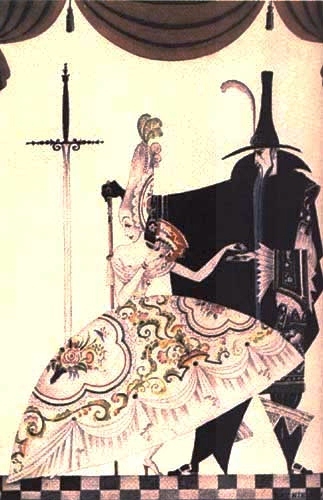 In France, Cenerentole became Cendrillon and it is one of Charles Perrault’s Histoires ou contes du temps passé (Tales of Past Times), except that Giambattista Basile’s Cenerentole had already entered a “learned” tradition. Basile himself had introduced Cinderella into the “learned” (i.e. written) tradition. 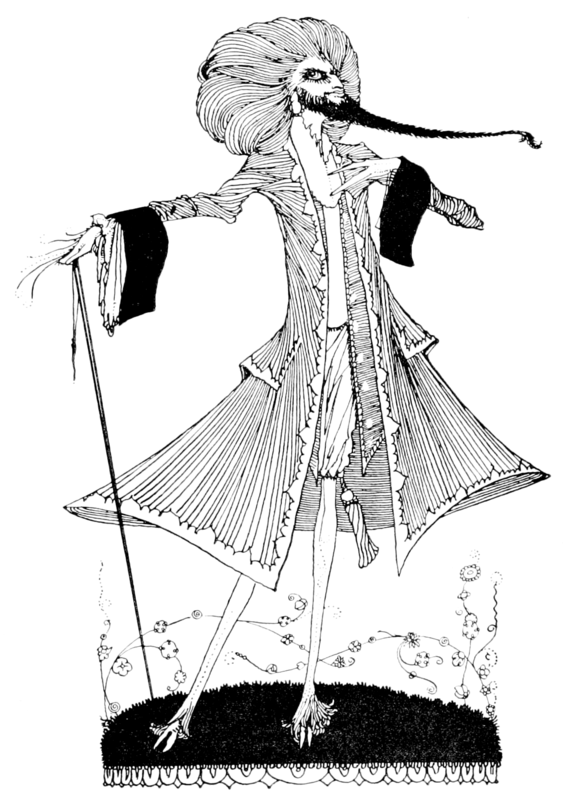 In Charles Perrault, however, Cendrillon was transformed into literature, a major transformation. Charles Perrault (12 January 1628 – 16 May 1703) was an affluent bourgeois, a perfect honnête homme (a gentleman), a frequent guest in the finest salons, and a writer. A parallel can be drawn between Charles Perrault and La Fontaine, as both men transformed the material (the learned tradition) that constituted their sources into literary works of art and, in the case of La Fontaine, into masterpieces. I doubt, however, that Basile and Perrault knew Cinderella had been a work of literature as Rhodopis. 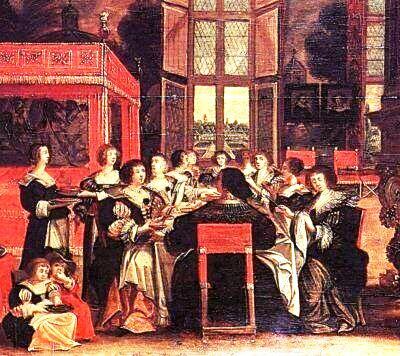 It had perhaps returned to the oral tradition when Basile wrote his Cenerentole, in the early part of the 17th century. The Brothers Grimm were philologists who attempted to create a past for the nascent Germany. Most civilizations created a mythology, a pourquoi tale. This process is now known as anamnesis (anamnèse), remembering, but not the religious anamnesis. They retrieved the folklore of German-language lands believing these lands shared a national heritage. Their project did provide the German-language countries with a past of its own. Although the plot of their stories were basically the same as in other countries, there were variants and these variants could not be could not be considered as inconsequential. Variants matter. Cenerentole, Cendrillon, Ashenputten and Cinderella are rags-to-riches narratives rooted in a story written as Rhodopis in 700 BCE and classified as AT type 510, “the persecuted heroine,” in the Aarne-Thompson Classification System. More than two thousand years had passed. Yet, such is life. Humans have always hoped for salvation even though their fate seems inescapable. That wish is universal, so it is not in the least surprising that the people inhabiting German-language lands should have adopted and molded an Ashenputten. They needed her. 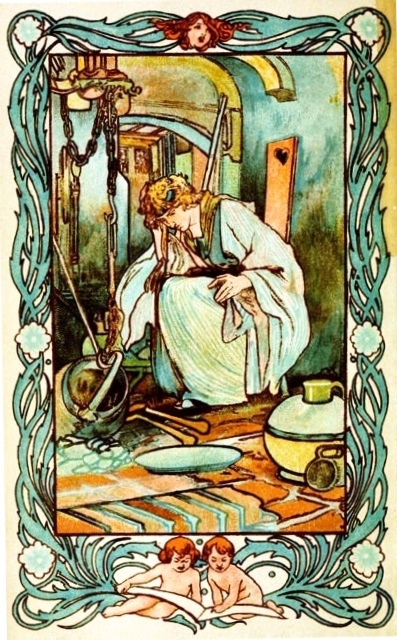 Charles Robinson illustrated (art nouveau) Cinderella in the kitchen (early 1900s), from “Tales of Passed Times” with stories by Charles Perrault. But let us return to our animals. We don’t know how a Reynard the Fox episode, the Tail-Fisher, went from Europe to the Black population of Georgia, US where Joel Chandler Harris wrote them down as Uncle Remus: his Songs and his Sayings (1881), using an eye dialect. I have suggested in an earlier post that deported Acadians, the Cajuns, told the Blacks of Georgia the tales they knew, before leaving for Louisiana, still a French colony in 1755, or before walking back north to the Atlantic provinces of Canada. Other tales, however, were brought to America by slaves packed like sardines in the hull of a ship. Marc Soriano, Les Contes de Perrault, culture savante et traditions populaires (Paris : Gallimard, coll. ‘Tel’, 1977 ), p.76. As you have noticed, Bluebeard is reminiscent of many folktales and other works of literature, not all of which belong to what we now call children’s literature. 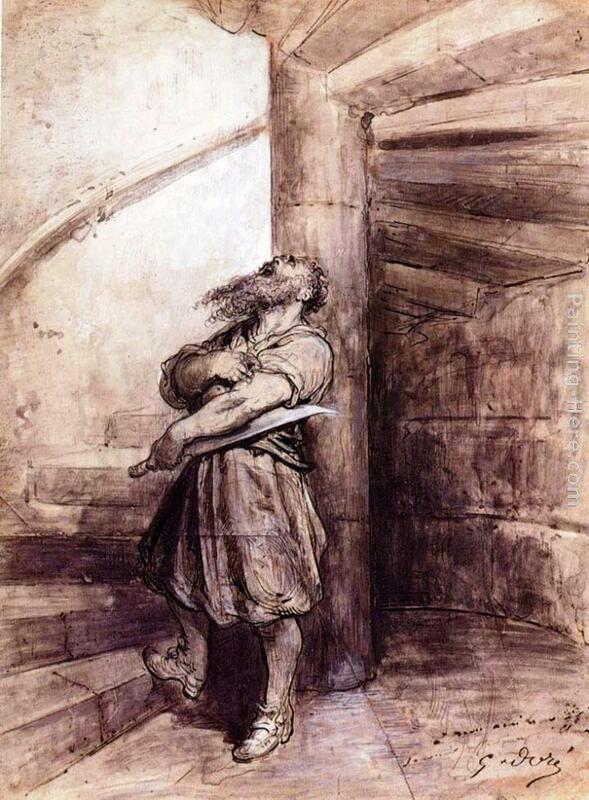 Yesterday, we looked at Charles Perrault’s Bluebeard. Perrault’s first audiences were persons who gathered in French seventeenth-century salons, a more refined and sophisticated environment than court: the Louvre and, later in the century, Versailles. Children may have been Perrault’s very last audience. I also mentioned that in French seventeenth-century literature, one could not combine comedy and tragedy. Like comedies, fairy tales end well, but there may be a “happy ending” to a comedy that does not seem a real comedy. Such is the case with some of Molière‘s comedies. The best examples are Le Misanthrope, Tartuffe and Dom Juan. Molière nearly broke the rules as did Perrault in his fairy tales. We know that Bluebeard’s young wife will be saved, but by the time her brothers arrive, we are out of breath. Would that a message-carrying dog had been sent to fetch the brothers! However, Charles Perrault, a moderne in the famous Querelle des Anciens et des Modernes, has chosen riveting suspense. Here, rules are being challenged by a member of the Académie française itself. 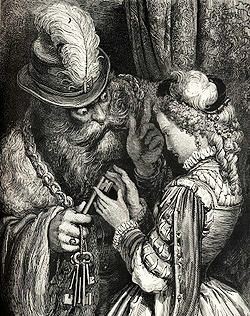 Other than the stained key, there is very little enchantment in Bluebeard, in which respect it resembles Puss in Boots. The young wife and Anne are clever girls, but where is the young wife’s fairy godmother? Well, she does not have one. Is this a fairy tale? One wonders. As for motifs and instances of intertextuality, seldom have they been as abundant than in Bluebeard. In fact, motifs and intertextualité seem to override genre. Although, “all’s well that ends well,” this is a fairy tale I would call “éclatée” or bursting out. Perrault is taking the new genre to its very limit. Moreover, there is something biblical about this fairy tale: the stain cannot be removed, except miraculously. That stain seems of remembrance of la tache [stain] originelle, the original sin. Moreover, the brothers arrive at the very last-minute. So not only the young bride, but the genre itself, i.e. fairy tales, are saved. This is an “in extremis,” intervention. As for Bluebeard, he is not the mean second wife who turns her husband’s beautiful daughter by a first marriage into a chimney sweeper. Bluebeard is more than an “animal,” he is a monster. He’s Goethe’s Faust: Mephistopheles. For those of you who are students of folklore, I have provided Alishman’s extremely useful cross-referencing, complete with links to the tales he mentions. Motifs overlap in this surprisingly rich “fairy tale,” so I have listed them. Particularly helpful is Alishman’s page devoted to the Grimm Brothers. It is entitled: Grimm’s Fairy Tales. The brothers Grimm have a classification system of their own: KHM. How the Devil Married Three Sisters (Italy). The Cobbler and His Three Daughters (Blue Beard) (Basque). Your Hen Is in the Mountain (Norway). Link to The Hare’s Bride (Germany). This tale is contained in a separate file and will open in a new window. The Three Chests: The Story of the wicked Old Man of the Sea (Finland). The Widow and Her Daughters (Scotland). The Secret Room (New York, USA). Link to The Robber Bridegroom (Germany, Jacob and Wilhelm Grimm, versions of 1812 and 1857). Opens with a new page. The Sweetheart in the Wood (Norway). The Story of Mr. Fox (England). The Girl Who Got Up a Tree (England). Captain Murderer (England, Charles Dickens). The History of Mr. Greenwood (Scotland). Sulasa and Sattuka (India, The Jātaka). Donkey-Skin (Peau d’Âne) was written by Charles Perrault, in 1694. But it is also dated 1697 as Histoires ou contes du temps passé, (Stories or Fairy Tales from Past Times with Morals or Mother Goose Tales). So doubt lingers as to the year it was written. I will date it c. 1695. Moreover, “unnatural love” seems a type rather than a motif. Type is the broader classification. A dying queen asks her husband to seek another spouse as beautiful as she is. 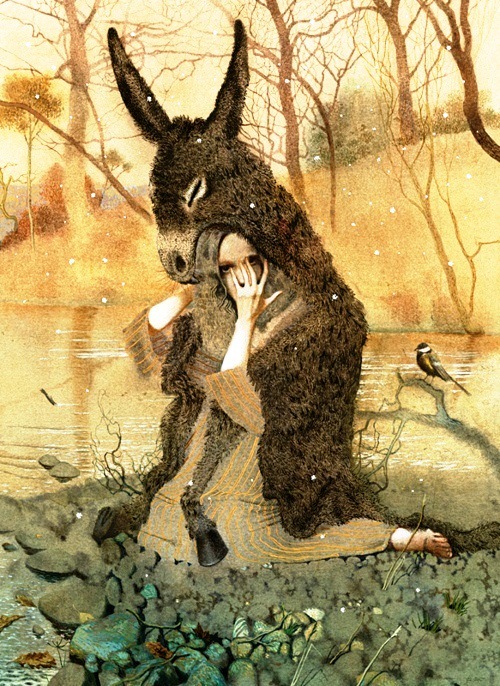 The widowed king falls in love with his daughter who is as beautiful as her mother, hence the fairy tale‘s classification as “unnatural love.” However, Donkey-Skin seeks supernatural help provided by a fairy godmother. The princess is told that she must ask her father to provide her with lavish gowns, three as it turns out, and to kill his gold-defecating donkey. The father obliges and Donkey-Skin flees covered in the skin of the dead donkey. After she escapes, Donkey-Skin starts working as a peasant. But a prince sees her through a key-hole when she is trying on one the lavish gowns her father has given her. 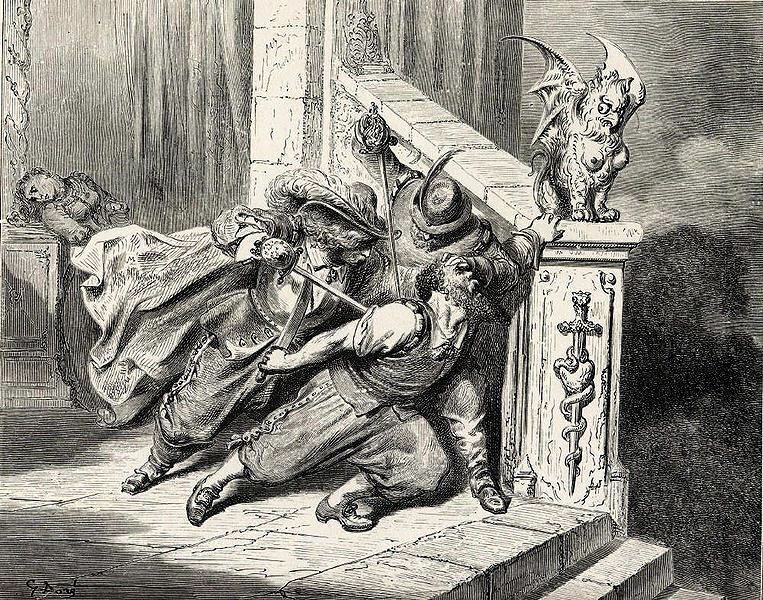 This is an example of kairos, which means that the prince sees Donkey-Skin at the opportune moment. He falls in love to the point of being sick. In literature, French 17th-century literature in particular, writers have often depicted love as an illness. The remedy that will heal the prince is not the skin of a wolf Isengrin’s age, but a cake Donkey-Skin has baked. She therefore bakes the cake and inserts her ring into the batter. So we now remember the foot-that-fits-the-shoe motif, Cinderella’s foot. The prince goes in search of the woman whose finger fits the ring and finds her. Donkey-Skin is returned to her regal self. At the time Perrault wrote his Tales of Mother Goose (Contes de ma mère l’Oye), children’s literature was in its infancy. Charles Perrault was an habitué (a regular) of Salons and fairy tales are associated with Préciosité‘s main objectives: the refinement of language and manners, and the “Querelle des Femmes,”the 17th-century debate about women. Woman considered themselves as “précieuses.” At first sight, it therefore seems puzzling that the story of a princess resisting the incestuous advances of her father should be accepted in literature befitting fine gathering places. But such is not the case. According to the Oxford Companion to Fairy Tales, Donkey-Skin is, indeed, part of the “Querelle des femmes,” the debate about women. Donkey-Skin exposes an abuse against women, which may explain its acceptability. Salonniers and salonnières also enjoyed the suspense. Finally, the tale might owe its acceptability to the rules governing fairy tales. Fairy tales have a happy ending so readers know that Donkey-Skin’s plight will end. However, I should think that the manner in which the tale is told is its subject matter. Peau d’Âne is an exquisite versified tale. It is Salon literature. Yet, in the Aarne-Thompson-Üther classification system, Donkey-Skin is listed as type AT 510B, [iv] i.e. unnatural love, rather than a type that could be called the flayed animal, such as The Lion, the Fox and the Wolf (AT type 50). The incestuous love of a father for his daughter does not seem appropriate entertainment for small children or the audience of Salons. We have seen, however, that it is acceptable. Moreover, it mirrors other motifs and types style redeems it. 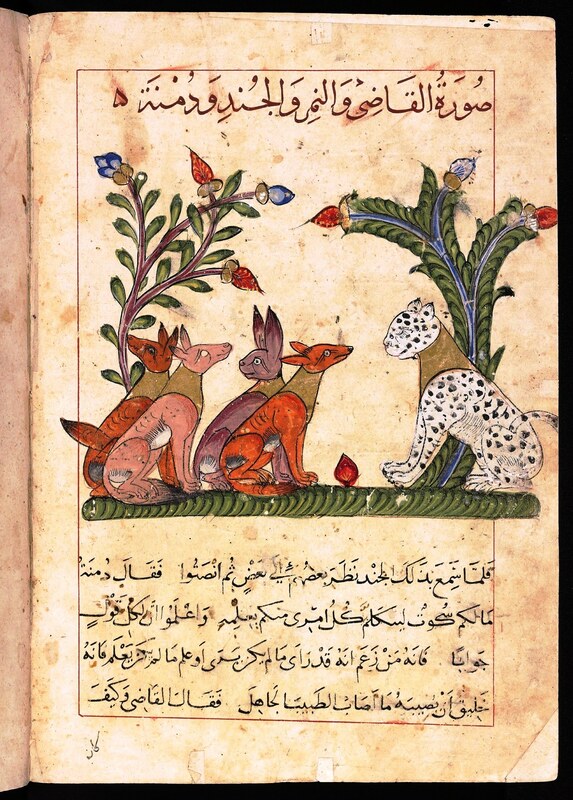 Let’s recall Reynard the Fox, rooted in the Sick Lion tale or The Lion, the Fox and the Wolf (AT type 50). Reynard has overheard Ysengrin the wolf tell the king that Reynard has failed to join other courtiers who are at their sick king’s, the Lion, bedside. 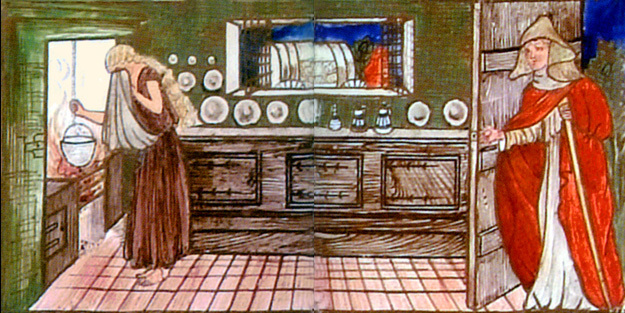 Reynard visits the king later and tells Noble that he has travelled everywhere in search of a cure. To be cured the king must wrap himself into the skin of a wolf, the age of Ysengrin. It would therefore seems reasonable to link tales where a character is covered in the skin of another animal with the tale Aarne-Thompson have listed as AT type 50: curing a sick lion. Tales intersect and may border on other types. Although the Aarne-Thompson index classifies Donkey-Skin under its unnatural love category, Peau d’Âne does mirror the flayed-animal type, under any name. In fact Peau d’Âne also mirrors Goose who laid golden eggs (Æsop’ Fables, Perry Index 87) and Jean de La Fontaine‘s “La Poule aux œufs d’or” (V.13). Like the goose, the king’s donkey is aurifère, an endless source of gold. I should not mind my work a pin. Whoever would teach, must gratify it. According to Marc Soriano,[vi] Perrault used many sources before writing his Peau d’Âne in perfect verse. The tale is not altogether a rewriting of Giambattista Basile‘s (c. 1575 – 23 February 1632) l‘Orsa IT (The Bear), (Il cunto de li cunti overo le trattemiento de peccerille [The Tale of Tales or Entertaiment for Little Ones]) or Pentamerone. Nor is it a polished version of a tale by Giovanni Francesco Straparola (c. 1575 – 23 February 1632), the author of the Facetious Nights or Piacevoli Notti. It is Perrault‘s Donkey-Skin and one of the first fairy tales belonging to children’s literature. Perrault’s tales has set the tone. He has become the model. Mais sans le contredire on peut le refuser. One is therefore reminded of Puss in Boots, a fairy tale in which a very clever cat takes his master from rags to riches using his savoir-faire, a more natural recourse than magic. Donkey-Skin will oppose her father “sans le contredire,” (without contradicting him), which is also savoir-faire, not to mention empowerment. [i] The term sprezzatura used by Baldassare Castiglione in the Cortegiano (c. 1528) conveys behaviour that does not necessarily go beyond mere appearances. It suggests nonchalance. [ii] “honnête homme”. Encyclopædia Britannica. Encyclopædia Britannica Online. [iii] According to the Modernes, the literature of France had reached an apex and could now serve as a model. The Anciens, led by Nicolas Boileau-Despréaux, who, with François de Malherbe, shaped French classicism, versification in particular, did not share this view. [iv] Christine Goldberg, “The Donkey-Skin Folktale Cycle (AT 510B),” The Journal of American Folklore, Vol. 110, No. 435 (Winter, 1997), pp. 28-46. [v] See G. Rouger, ed. Contes de Perrault (Paris: Classiques Garnier, 1967), p. 153. [vi] Marc Soriano, Les Contes de Perrault, culture savante et traditions populaires (Paris : Gallimard, coll. ‘Tel’, 1977 ), 113-124.
performers: Musica Pacifica, at the Berkeley Early Music Festival main stage, June 2012. Fairy Tales and Fables (please click to read the text). 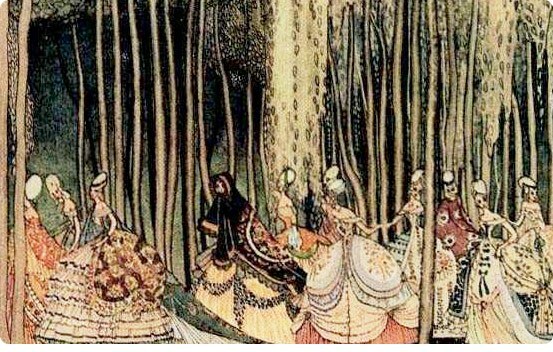 When I started writing this post, I realized that I had already written a post entitled Fairy Tales and Fables and that I had used The Uses of Enchantment: The Meaning and Importance of Fairy Tales,[i] published in 1975 or 76, by Austria born American psychologist Bruno Bettelheim (28 August 1903 – 13 March 1990). I am therefore providing a link to Fairy Tales and Fables as you may prefer to read the older post. 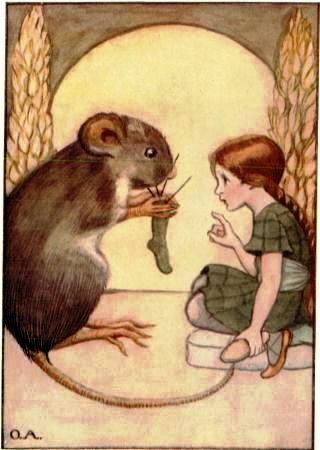 I also discovered that Wikipedia and other entries on fairy tales and fables are far more numerous and substantial then was the case when I first wrote about Puss in Boots and Beauty and the Beast. First, I will write at greater length on the difference between fairy tales and fables a subject with which you are probably familiar. Second, I will make a few comments about Puss in Boots. In his book, Bettelheim suggests that fairy tales are helpful to unhappy children because characters such as Cinderella have a fairy godmother who saves them. Cinderella has no recourse. Her father’s second wife has transformed her into a servant and one of Cinderella’s tasks is to clean up the chimney. “Cinder” means “ash” (cendre). Fortunately, the reader knows that her good looks, albeit hidden, will free Cinderella from her stepmother, her father’s second wife. Cinderella is an archetypal rags-to-riches fairy tale. So is Puss in Boots. In most fairy tales, beauty is a major asset, even in the case of Beauty and the Beast. Beauty and the Beast is an exceptional fairy tale because Beauty falls in love with Beast when he is Beast, which would be comforting to a child who feels ugly. By falling in love with Beast, Beauty returns Beast to his former beautiful princely self. Beauty sees beauty beneath unsightly appearances, which makes her into admirable character, but in the end she marries a beautiful prince. The moral of that fairy tale, for there is a moral, is that one should look beyond appearances. But next to the moral is a forthcoming princely wedding. Let us return to Cinderella. Alone, it would be difficult for Cinderella to escape her sorry fate. She has sought her father’s help, but he does not want to upset his new wife who prefers to look after her own two daughters. However, a fairy godmother comes to Cinderella’s rescue, a familiar device in fairy tales. So, given that a helpless Cinderella is saved by her fairy godmother, it would be Dr Bettelheim’s opinion that fairy tales benefit children, a notion that has been extended to adults. According to Dr Bettelheim, fairy tales provide optimism, whereas fables are pessimistic. Such may indeed be the case. In Puss in Boots, revisited, I listed characteristics of fairy tales in general and Puss in Boots in particular. What follows is therefore somewhat repetitive. Fables are lessons originally designed to help the prince conduct his life wisely. Such is the case with the Sanskrit Panchatantra or Pañcatantra. We also have the Sanskrit Hitopadesha, a collection of fables in prose and verse written in the 12th century. (See Hitopadesha, Wikipedia.) After the Hitopadesha’s discovery, by Sir William Jones (philologist) (28 September 1746 – 27 April 1794), it was translated into English by Sir Charles Wilkins KH, FRS (17 (1749 – 13 May 1836) who had translated the Bhagavad Gita (meaning The Song of the Bhagavan). According to its Wikipedia entry, “[t]he Bhagavad Gita‘s call for selfless action inspired many leaders of the Indian independence movement including Mohandas Karamchand Gandhi [Mahatma Gandhi], who referred to the Gita as his ‘spiritual dictionary’.” Kalīlah wa-Dimnah is the Persian (Arabic) version, by Ibn Al-Muquaffa, of the Sanskrit Panchatantra. As noted above, Panchatantra stories are listed under Panchatantra Stories. However, the fables we read to our children and which are read by our children are Æsop’s fables. Among translators of Æsopica into English, Sir Roger L’Estrange is the most colourful individuals. He published his Fables of Æsop, and other Eminent Mythologists: with Morals and Reflexions, in 1692. In the French language, many Æsopic fables were written by Jean de La Fontaine‘s (8 July 1621 – 13 April 1695). However, there have been many fabulists. Click on Fable to see a list of writers of fables. 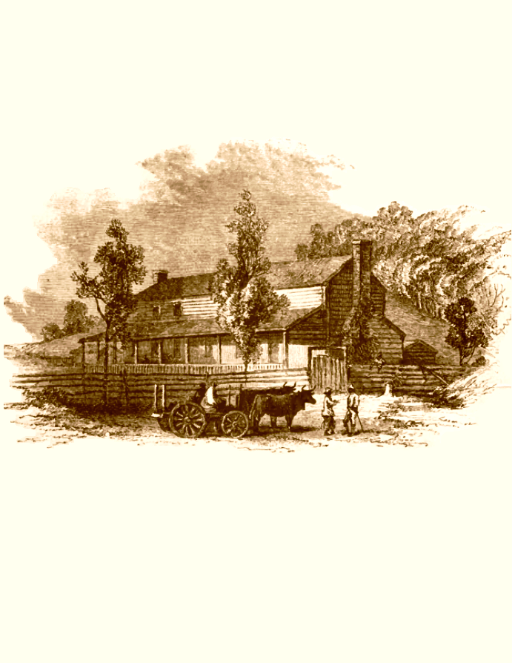 However, these morals are not very “moralistic.” One hopes, nevertheless, that the third son of the miller has learned that Puss’ ingenuity has taken him, the third son, from rags to riches and that he was lucky to be well dressed, good-looking and young. So, although a parallel may be drawn between the education of the prince, the earliest vocation of fables, and Machiavelli‘s education of his prince, Machiavelli and his prince inhabit the ruthless world of the factious city-states of the future Italy. Besides, the lessons are presented without the “obliqueness” that characterizes speaking animals. Animals speak and do not speak. Animal stories also teach ways of getting oneself out of difficulty. In one Reynard the Fox story, Reynard plays dead (“faire le mort”) to his benefit. We do not know every version of Puss in Boots, but Marc Soriano,[iii] the author of Les Contes de Perrault, culture savante et traditions populaires, writes that in one retelling Puss also plays dead. This is an old motif. (See Stith Thompson [March 7, 1885 – January 13, 1976] and Aarne–Thompson classification system, a classification by motif, and Vladimir Propp‘s [29 April 1895 – 22 August 1970] Morphology of the Folktale, a structuralist classification by narratives and functions. As for Puss, and all animals in beast literature, he is anthromorphic. Talking animals are humans in disguise and when humans are disguised as cats, they often serve as magic wands, not because they are magicians but because of their ingenuity and, ironically, their eloquence. So Puss is the denizen of a fairy tale, yet his main toosl are the tools foxes use: ruse and barat, Reynard’s talkativeness. He possesses within himself the resources that make him a fairy godmother and an agent of change. Not that Puss is “children’s literature’s” only magical cats. Fairyland has other magical cats. However, with magical cats, we are faced with a paradox. Puss’ ingenuity places him above the human beings he uses to raise his master to the highest social rank. In fact, Puss civilizes the third son of the miller in order to take him from rags to riches, which is extremely ironic. He could therefore be considered the master. Puss in Boots is entitled Le Chat botté ou le Maître chat, Puss in Boots or the Master Cat. We have entered the topsy-turvy world of beast literature. Puss has made himself a human being. Therefore, with Puss in Boots, we are in fairyland, but also find ourselves in the upside-down universe of speaking animals. 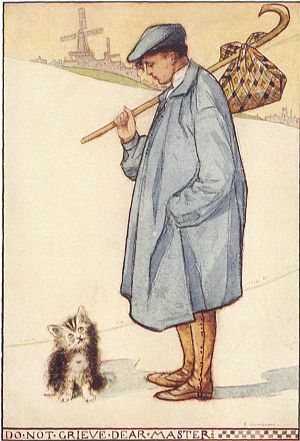 Fred Marcellino‘s last illustration shows two little mice looking at a portrait of Puss, fully and beautifully dressed. Not only has he proven an invaluable inheritance, but in transforming his master into the King’s son-in-law, he has educated the prince and has also metamorphosed himself into little less than an aristocrat. [i] Bruno Bettelheim, The Uses of Enchantment: The Meaning and Importance of Fairy Tales, (Vintage Books, New York, 1989 [1976; 1975]). 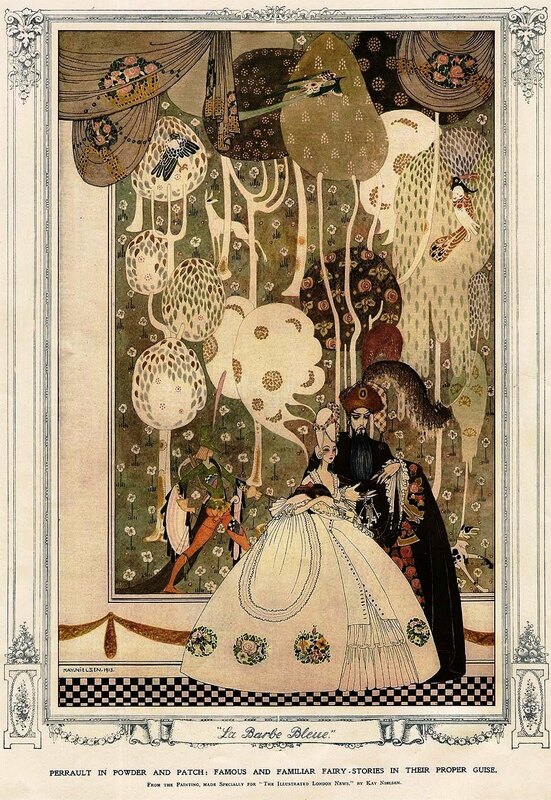 [ii] Jack Zipes, ed., The Oxford Companion to Fairy Tales (Oxford: Oxford University Press, 2000). [iii] Marc Soriano, Les Contes de Perrault, culture savante et traditions populaires (Paris: Gallimard, collection “Tel”, 1968), p. 176. We are revisiting a post. It was first published on 9 November 2011 and it is about Puss in Boots, a “fairy tale” that may well be as old as the world, so to speak. A large number of fairy tales have come down to us either orally (the oral tradition) or in writing (the learned tradition). In fact, fairy tales and fables often weave their way in and out of both traditions, as do fables and they may be “retold.” So we do not now how old Puss in Boots is, and there are several versions of the tale. As you probably noted, I have used quotation marks on both sides of fairy tale. The reason for my doing so will become clear as you read my humble blog. However, let me add a few comments. Fairy tales have a happy ending and such is the case with Puss in Boots. In fact, animals are the denizens of fables, not fairy tales. 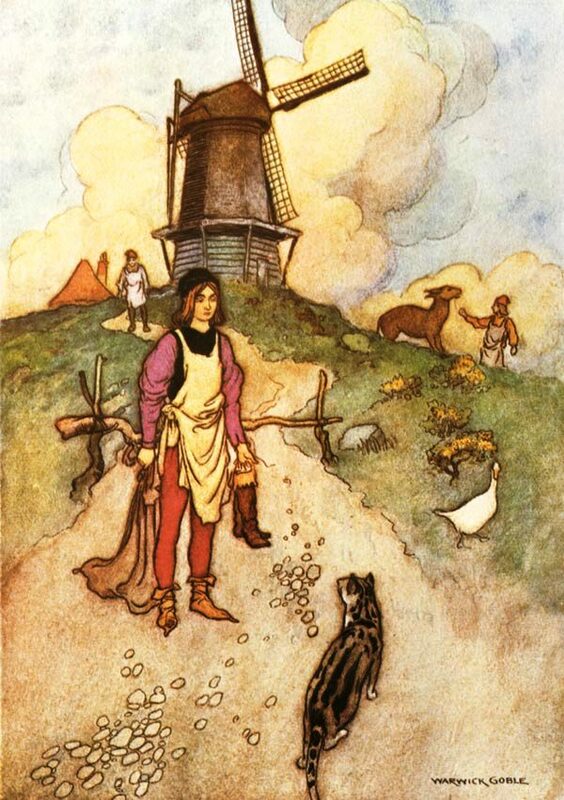 But Puss in Boots is a fairy tale and it features a masterful cat in a genre considered “optimistic” compared to fables. Fables would be “pessimistic” because they are a story where animals are used to teach children a lesson. The illustrations I used in my post dated 9 November 2011 are by Fred Marcellino‘s (October 25, 1939-July 12, 2001). Marcellino’s illustrations of Puss in Boots are delightful. To see other illustrations by Marcellino, see Images, Google. Unfortunately unlike medieval monks, modern illustrators seldom integrate image and text, nor can they reproduce the luminosity of illuminations, but Marcellino was, within the limits of modernity, an extraordinary illustrator. He truly deserved the Caldecott Medal for “the most distinguished picture book for children.” The illustrations of his Puss in Boots are beautifully. 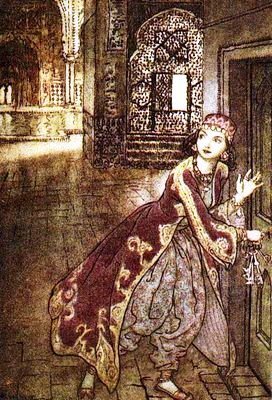 In this blog, I have used an illustration by Warwick Goble (22 November 1862 – 22 January 1943). 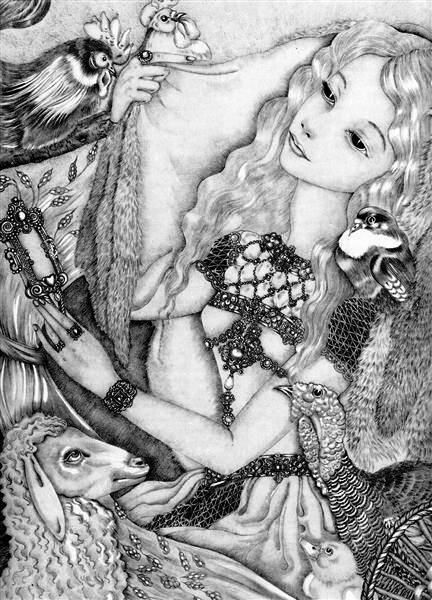 Illustrations by Goble may be found at artpassion.net and Google. 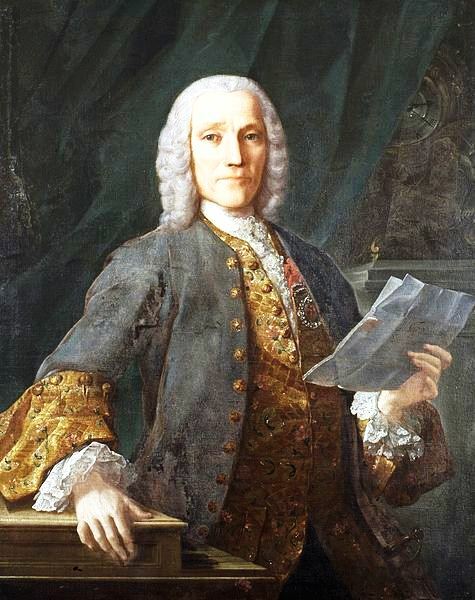 Domenico Scarlatti (26 October 1685 – 23 July 1757) wrote a “Cat’s Fugue,” L.499/K. 30 (K for Ralph Kirkpatrick) which I enjoy playing, but in my post on Puss in Boots, I have used a Sonata by Scarlatti – one of his 555 sonatas – because it is beautifully played. It is Scarlatti’s Sonata L.366/K.1 (L for Alessandro Longo) played on the piano by Ivo Pogorelić (born 20 October 1958). However, at the foot of this post, I have embedded a lovely recording of Scarlatti’s Cat’s Fugue, a sonata. As for Ivo Pogorelić, he is not in good health. So he goes to bed when the sun sets and rises at five-thirty in the morning. I will stop here so you may read the above and my revised article. Next we will see the role a cat such as Puss plays in a fairy tale and ponder Bruno Bettelheim’s conclusions in The Uses of Enchantment: The Meaning and Importance of Fairy Tales. I will not contradict Dr Bettelheim, that would be silly. However I will use his conclusions, i.e. optimism (fairy tales) vs pessimism (fables), as a theoretical framework. For the English text of Charles Perrault‘s (12 January 1628 – 16 May 1703) fairy tales, beautifully illustrated by Gustave Doré, click on fairy tales. 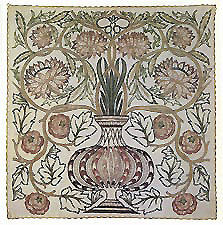 For information on William Morris, click on Arts and Crafts or on William Morris. But if you click on this Cinderella, you will see that there are many retellings of Cinderella or Cendrillon. 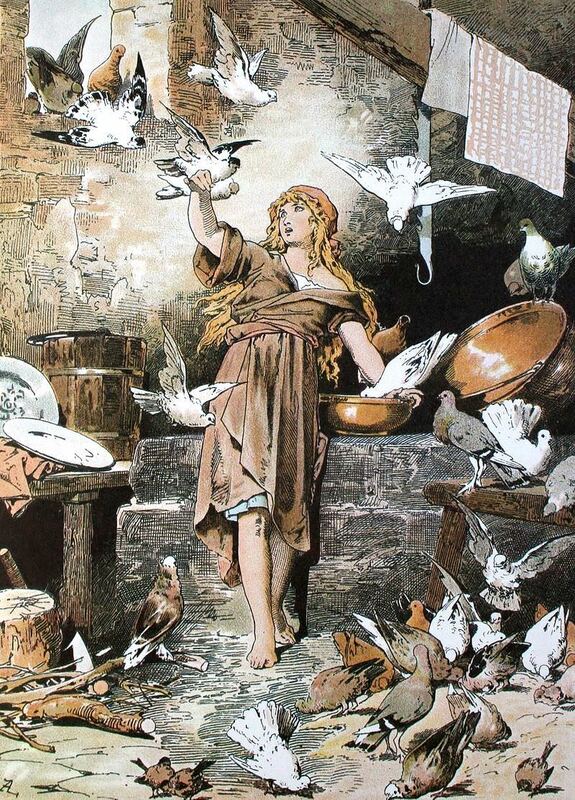 The Brothers Grimm’s Cinderella does not feature a fairy godmother, but Cinderella prays on her mother’s tomb and is helped by all the animals, birds in particular. They bring her the beautiful gowns she wears while dancing with the Prince. However, she does lose a shoe because the prince has put pitch on the steps. On the same website, you may also read that the story of Cinderella is almost as old as the world. Cinderella is a fairy tale, so it belongs to a literary genre and genres share, to a lesser or greater extent, the same narrative structure. With fairy tales, the “hero” goes from rags to riches and does so through the timely intervention of a fairy godmother, or a clever cat. Therefore, the protagonist or hero, is at times rather passive, as is, for instance, Puss in Boots‘ disappointed master. As I pointed out in an earlier post, were it not for his cat, the third son of the miller might not have become a prince. It is the cat who takes him from rags to riches. Traditionally, the protagonist of fairy tales, i.e. the third son or a Cinderella has a fairy godmother who appears at the opportune moment, i.e. kairos, to transform a Cinderella or some other character, into a beautiful person to whom the opportunity is given to be seen at his or her best. This could suggest a lack of resourcefulness in the central character of a fairy tale, a point we will discuss after writing a summary of the plot. This is how the rags-to-riches narrative of Cinderella unfolds. A widower who has one daughter marries a widow who has two daughters. 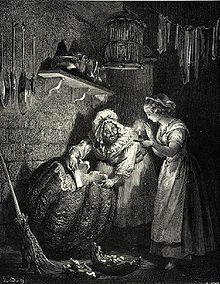 In Charles Perrault’s version of the fairy tale, the widow’s two daughters are less attractive than Cinderella, so Cinderella is reduced to removing the ashes from chimneys and wears soiled clothes. There is a ball to which the young women of the land are invited. In fact, in some versions of Cinderella (the Brothers Grimm), there are three balls, or three days of festivities, the number three being the most important number in fairy tales. When Cinderella arrives in the carriage her fairy godmother has magically fashioned out of a pumpkin, just as she has magically fashioned the horses, the coach, and the magnificent gown Cinderella wears, she is stunning, not to mention the beauty and uniqueness of the slippers she wears, translated as glass but perhaps otherwise crafted: “vair,” a material, is pronounced the same way as “verre,” glass. This matter is one scholars have studied without reaching a consensus. During the last ball, Cinderella is so enjoying herself that she forgets that midnight is approaching and that, at midnight, she will return to her station as the girl who cleans the ashes out of chimneys. She is running away so fast that she loses one of the slippers or shoes. So Cinderella may be Cinderella again, but the prince has picked up the shoe and wants all the young women of the land to try it on. Whom will it fit? 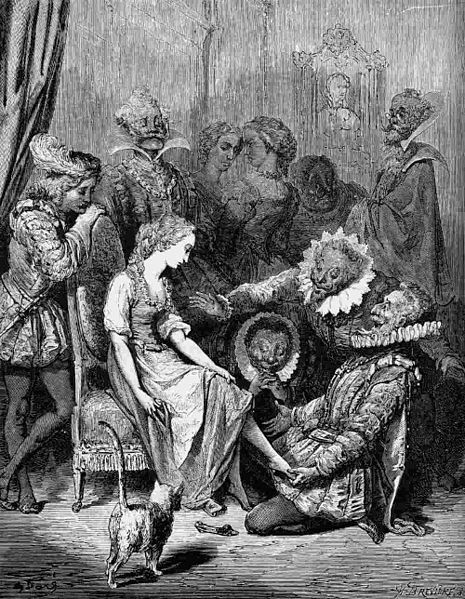 In Perrault’s version, when her sisters try on the shoe, Cinderella is her shabby self, but the prince has noticed her and he suspects beauty behind deceptive appearances. Cinderella is therefore asked to try on the shoe and the shoe fits. Cinderella is once again transformed into the beautiful young woman she was at the balls and will be the prince’s bride. Matters end the same way in the Brothers Grimm’s Cinderella except that birds blind her two sisters permanently, which is somewhat gruesome. I will note later that Cinderella is rooted Rhodopis, 700 BCE, in which a slave girl marries the kind of Egypt, but tales often originate in India. However, as we know, the five stories that make up the Pañcatantra, were written in Sanskrit, by Vishnu Sharma and then, in 750 CE, they were translated into Arabic, as Kalīlah wa Dimnah, by Persian scholar Abdullah Ibn al-Muqaffa’. However there were other translations of the Pañcatantra, and other tales, before it was translated by Abdullah Ibn al-Muqaffa’. Furthermore, Vishnu Sharma may have taken his content, or subject matter, from an oral tradition. I will therefore be cautious as there may be a more ancient Cinderella, than Rhodopis. But Perrault did not draw his material directly from an ancient source. Cinderella was part of the tales of Giambattista Basile (c. 1575 – 23 February 1632), the author of the Neapolitan Lo cunto de li cunti overo lo trattenemiento de peccerille, later entitled Il Pentamerone. Giovanni Francesco “Gianfrancesco” Straparola (c. 1480 – c. 1557) also wrote fairy tales, but he did not write a Cinderella. As stated above, the point that needs examination is the extent to which Cinderella participates in her transformation. The short answer is that she needs help but is not as passive as she might seem. She has gone to her father to ask for his help but her father, who loves his new wife, has refused to intervene on behalf of his daughter, which is not very fatherly. However, had he intervened, he might have made matters more difficult for his daughter. Cinderella’s stepmother has two daughters whose looks could jeopardize their ability to find a spouse and her daughters come first. Other factors may be at play. For instance, this is a fairy tale, not a comedy. Unlike the characters of comedies, Cinderella does not have a gentleman friend who can help her fight a heavy father, pater familias. Nor does she have clever servants who would assist her and her gentleman friend. That happens in comedies, not in fairy tales. Perrault’s Cinderella truly needs a fairy godmother and she is fortunate that the prince happens to see beauty beneath deceptive appearances. Despite their lovely gowns, the stepmother’s daughters have not been noticed by the prince who can see beauty in an unadorned Cinderella. So I wonder whether Cinderella can do much for herself other than assist her fairy godmother by fetching a large pumpkin and helping her empty it of its contents so that it can be transformed into a princely carriage. But, by an large, other than fetching the pumpkin and performing little task, Cinderella is very much in need of a fairy godmother, not to say a miracle. However, destiny, the fates, have given Cinderella a fairy godmother. But more importantly, destiny has given her beauty and grace. Other than an opportunity to be seen by the prince, an opportunity which a fairy godmother orchestrates, it could be that Cinderella has all that is required of her. Moreover, only she can wear the shoes, which is very much to her advantage. So the long answer may be that she cannot do much for herself, but that she has been so blessed by Lady Fortune that she really does not need to do much for herself. In other words, although she needs and has a fairy godmother who arranges for her to meet the prince, her beauty and grace make her the perfect candidate for victory. Besides, the prince notices her and the shoe fits. So Cinderella does not rise from her own ashes, but she rises from ashes.